If we’ve learned one thing on this site, it’s this: if it’s a computer, big or small, someone’s going to find a way to make music. The iPod / iPhone, with their Mac OS-derived software guts and a multi-touch interface, are no exception — with or without Apple’s blessing. Here’s a look at what people are doing, including some apps you can download right now, and where this might go musically, whether it’s just a couple of fun toys or trying to make that pretty pocket device an instrument. There’s no question what makes the iPod Touch and iPhone significant: they are tiny, palm-sized Macs, running all the stuff that makes a Mac a Mac — Cocoa, of course, but even music-specific stuff like Core Audio and Audio Units. 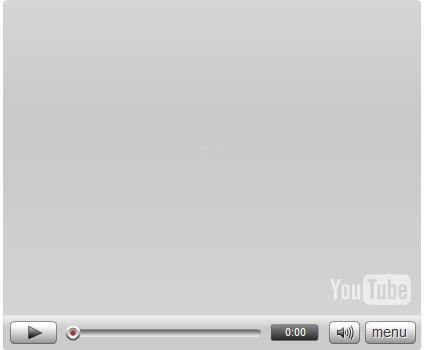 (For more details, have a look at the WWDC session highlights spotted by Palm Sounds, all of interest to audio specifically. It could easily be mistaken for desktop development. The Unity 3D game engine is on its way, too.) And even if you’re not planning on picking up mobile Apple hardware, this says something about the rapidly-advancing direction of mobile computing. There was a lot of talk about mobile convergence in the 90s and early years of this decade, but now it’s here. Of course, there are strings attached. Apple was in no rush to get an official SDK and firmware out to developers, relenting only this year. And it strikes me as I see iPhones on the go that the coolest stuff is happening using "jailbreaked" phones — phones specifically hacked to get around Apple’s requirements. Even when Apple goes official, that’s likely to continue: Apple has placed some arguably onerous restrictions on development. Software has to be Apple-approved and sold via iTunes, and basic capabilities like multitasking are a no-no. Someone’s just called? Great. Your app just quit. (Bizarrely, even extremely low-end phones are willing to multitask, but not Apple’s far-superior hardware.) Whatever arguments you may make for Apple’s approach, my guess is the hard-core iPhone/Touch owner will remain outlaws to get the full capability out of their device. Also, despite some common elements, the implementations of APIs on the mobile devices are not as complete as on desktop Mac OS. Chad from miniMusic tells PalmSounds that some features currently available in Core Audio on the desktop are missing on mobile — at least for now. Then there’s the fact that the major Apple strength is Cocoa and Mac-based development — meaning I remain curious about what the Windows and Linux camps will do in this space, particularly Linux. Those folks do have a major, uphill battle to match Apple’s achievement here in terms of software. One would think, though, that Linux should have a bit of an edge because its comparative modularity, whereas Mac OS X was designed solely as a desktop OS — though mobile development is hard, either way. For Mac-based development, though, iPhone and iPod Touch are here now (always a major advantage in technology). Its full-fledged Mac roots have led to the fanciful image at right and some heated discussion on CDM’s forums earlier this spring. But let’s have a look and what’s here now for the iThings, like MooCowMusic’s Band app (pictured, top). Because of the small size of the iPod Touch / iPhone — and the relatively large size of your fingers — many of the pocketable music apps tend in the toy direction, but they’re fun toys, nonetheless. 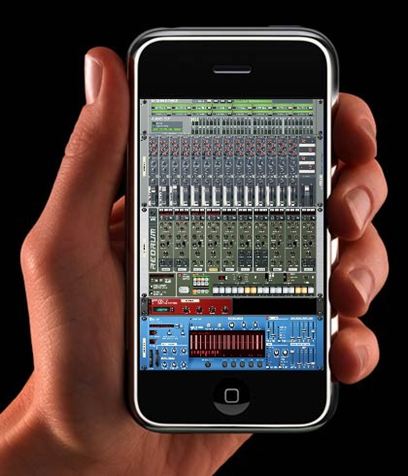 Moo-Cow-Music has made a splash with its various apps. 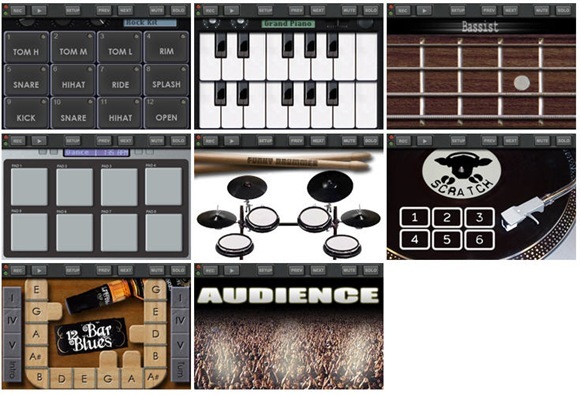 Its band app features a full set of multi-touch instruments, recording and playback, and a metronome. 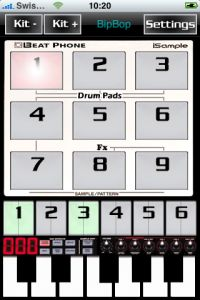 It certainly could work nicely as a sketchpad, and you can build your own instruments by making your own samples, images, and describing the combination of the two using a simple text file definition file. It’s not available as I write this, but is promised in donation-supported form soon. Some of their other apps (modules within Band, basically) are available for free download once you’ve jailbroken your device; check out the main Moo-Cow page for the selection, and see their forums for the latest. 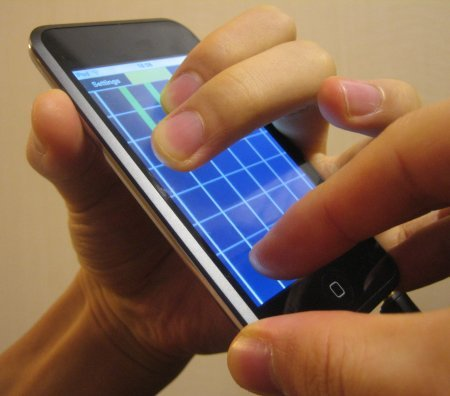 Also in the toy category, MixMeister Scratch is an upcoming (unreleased) app for scratching on top of songs on your iPod Touch / iPhone. 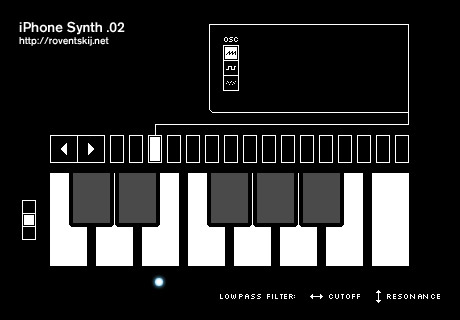 Unfortunately, it seems this is really a toy — it only supports preset scratching sounds, not scratching the actual tune (which seems like it’d be more fun, even if it weren’t a serious scratch tool). Far more fun: BeatPhone, as covered previously here, has a set of pads for playing samples, with some very cool features planned. Check out the project page. For guitarists, there’s PocketGuitar (found on onetonnemusic, the blog of CDM’s graphic designer and "brand identity maestro" Nat). 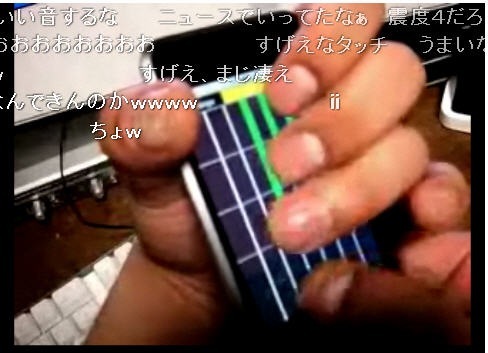 Coder kasatani has put together a brilliant video on his blog. There seems to be something about Japanese culture that encourages artists to be musical with miniature electronics and simple elements; I always find it aesthetically refreshing. Japanese-speaking readers, if you can translate more of what I’m seeing here, I’d much appreciate it! The video itself seems not to be embeddable, so have a look below — and dig all the lovely flying Japanese text. The other well-known iPhone musicians are iBand, who have gained notoriety via YouTube as an ensemble of mobile Apple gadgets. Here’s an example of their videos, featuring music made entirely on iPhones (plus one iPod Touch), again via the awesome Palm Sounds. I’m not sure what’s up with those fingerless gloves. I guess it’s, uh, cold where they are or something? iPhone: Open SDK vs Closed SDK by Erica Sadun for O’Reilly digitalmedia really says it all in the headline. And if you don’t have the cash for an iPhone, there’s always this route. Listen to the fidelity of that sound, man. So organic.